Some people just have music running through their veins. Kara Grainger’s musical journey has taken her all around the globe. From her inner city beginnings in the town of Balmain, Sydney Australia, she’s since performed and toured in Japan, Indonesia, India, Switzerland, Germany, England and the USA . 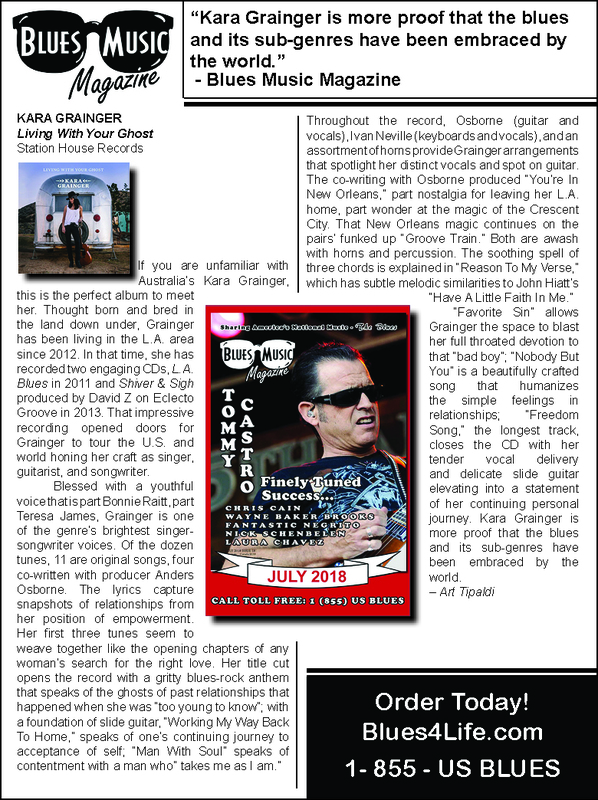 Her sultry, mesmerizing vocals and fiery approach to blues and slide guitar has caught the attention of many well-respected artists. She has opened shows for Peter Frampton, Buddy Guy, Jonny Lang, Taj Mahal, Marc Cohn and Eric Johnson to name a few. This Australian singer-songwriter and guitarist may evoke comparisons to Bonnie Raitt, but she bears a style all her own, a relentlessly seductive, distinctly modern take on roots rock, blues, and Americana.